There is one game we have come back to time and again in our homeschool, and that is the Marco Polo Silk Road Game. In this game, we review the ancient trade routes that Marco Polo traveled as he went from Venice to China. We try our hand at buying and selling goods along the way, and we hope to return to Venice to make a profit! Marco Polo’s Silk Road Game is hands-on and interactive learning at its finest as we actively try to make our way through dangerous deserts and trade for better prices in the faraway cities. My oldest and I first learned about Marco Polo during his Kindergarten year when he was 5 years old. We were planning on learning about American History, and he was interested in why Christopher Columbus wanted to travel to Asia in the first place. We decided to learn about the spices and silks in Asia, and I found an interesting picture book about the Silk Road. Here are some of the things we read as we learned about Marco Polo. In A Single Pebble by Bonnie Christensen, a girl in ancient China sends a pebble with her father, who is a trader on the Silk Road. Along the way, others contribute their treasures. Finally, the pebble and other treasures are appreciated by a young child in Venice at the end of the trade route. I like how this story provided context and interest along with outlining the items traded and the complexities of the Silk Road. 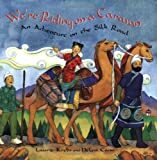 We’re Riding on a Caravan by Laurie Krebs provides a balance of rhyming larger text and smaller more detailed text about a Chinese family’s travels across Asia to Venice for trading. I like the additional details at the end to provide facts for the young reader. But, if the text is too much, just the story can be shared. 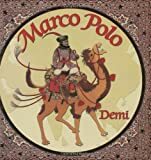 Marco Polo by Demi contains amazingly detailed and culturally reflective art. 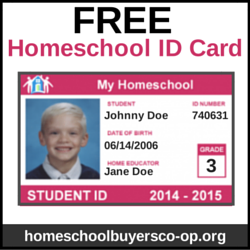 The text contains many facts and appeals to older students. The Silk Route by John S. Major provides lots of details and maps. The Silk Road by Kathy Ceceri provides many more maps and inspiration for my game. Marco Polo for Kids by Janis Herbert also has 21 activities for kids to do. We learned that Marco Polo received a paiza (golden tablet) from the Chinese emperor. It was a golden token that allowed him safe passage and free residence, horses, and foods in caravans along the way. We made our own with golden colored oven-bake clay . The real golden paiza had a written message. Raisin made an image of the “emperor” for ours. Even at his young kindergarten age, Raisin loved maps. Following the journeys of Marco Polo were delightful to him. He found it fascinating that so much of the journey was in the midst of dangerous territory. We simply had to adapt this story into a game. I started by adapting a map of Europe and Asia to indicate the major cities along the Silk Road, according to the books we’d read. I also made a note of what those cities had as a specialty to trade. Then, we gathered items from around the house to represent those items. Aluminium foil squares were tin. Felt squares were cut out and designed to look like Persian rugs. Porcelain tiles were the Chinese porcelain. Smooth fabric was called silk. And then there was the issue of travelling. We had to have camels (so I have a clip art image of one). We also had to eat. I decided that eat turn we took we had to eat, either Raisins or Cheerios (we’ve played it both ways). The kids loved that for each turn we had to “eat” food on the Silk Road trail! The longer we traveled, the more expensive it would become. In our reading, we learned that robbers could steal our camels or merchandise in the desert. The camels could die, or our food would be destroyed in a sand storm. It was hazardous to remain in the desert. So I made “take a chance” cards. In some of these, our merchandise breaks (especially porcelain) or is stolen. In others, our camel dies or we lose food. We also might lose a turn! Taking a turn in the desert was not nice idea, of course. But through the game we’d end up between cities between turns. We would have to take a chance. I felt a dilemma about learning about price changes. There is not a good way to learn about supply and demand in a board game. So we used the random luck (dice) to determine prices. We roll for each item we want to buy. Sometimes silk or porcelain cost 1 gold each, but in the next town it might cost 5 or 6 gold pieces each. Buy low, sell high! Of course, getting back to Venice raised the prices considerably. We used two dice to determine the selling price of all our merchandise. The goal was to end up with the highest amount of money back in Venice! That meant taking fewer turns (less money spent on food), buying at low prices, and returning back to Venice with a lot of merchandise to sell. In the past 5 years since I designed this game, Raisin and I (and now Strawberry too!) come back to it time and again. It is so much fun! Want to take a chance on the Silk Road? Get Marco Polo’s Silk Road Game in my Shop. I was curious. How many goods are they allowed to buy in one turn. For example, if they were buying silk and rolled a 1 would they be able to buy as much silk as their money allowed? Or is there a limit. Thanks.